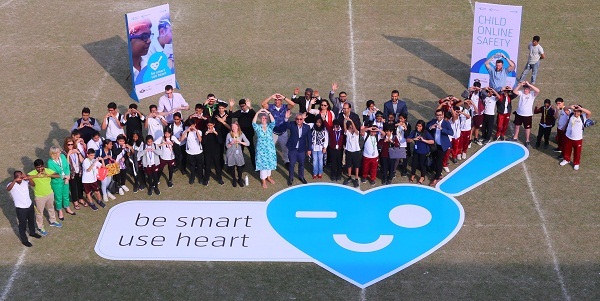 Grameenphone and UNICEF observed international ‘Safer Internet Day’ together at the International School Dhaka (ISD) on February 5, 2019. The event was organized to build better awareness around the safety measures that both students and guardians can adopt to ensure a positive digital learning experience. 250 students from Grade 5 to Grade 10 were provided a better understanding of online safety through a gamified journey designed to help children to develop the knowledge and skills they need to navigate the online world in a safer and more enjoyable way. 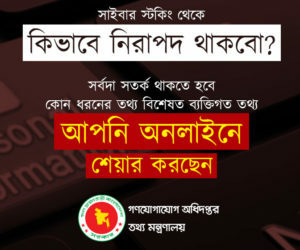 The Child Online Safety Program is Grameenphone’s flagship initiative to ensure a safer online experience for children in an increasingly digital environment. Grameenphone has been driving online safety since 2014 and partnered with UNICEF in 2018 to expand the program to educate and sensitize 400,000 children, aged between 11 to 16 years, and 70,000 parents and guardians. ISD is one of the leading schools of Bangladesh and the only day school with the full International Baccalaureate (IB) curriculum. ISD’s advanced educational system requires their students to access the internet from Grade 1 and is used for student to submit assignments, learn new things and engage in activities. In order to ensure that students understand their responsibilities while using the internet from an early age, ISD partnered with Grameenphone and UNICEF to observe Safer Internet Day this year and hosted the event.